Your remodeling contractor, serving Boulder and surrounding areas in Colorado. Kevin Gregory has been in construction for over 20 years. Kevin managed millions of dollars of construction per year in the Boulder area. He has extensive experience as a General Contractor for new construction, as well as remodels and additions. Kevin has been involved in several charities, including serving as a Builder Captain for Volunteers of America, and has been to Haiti multiple times to help with rebuilding projects. Craig Bird joined the Boulder Builders team as a Project Manager with 25+ years of experience in high end construction. Craig has managed multiple remodels and additions in the greater Metro area with a concentration in the Boulder area in the past few years. Before moving back to his home state of Colorado in 2008, Craig spent 9 years in FL managing multi-million dollar remodels, additions and new construction. When Craig is not working, he enjoys playing golf, and watching his daughters play soccer. 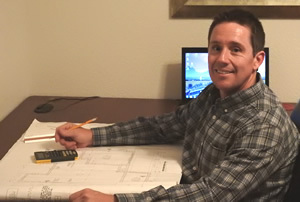 JC O’Donnell has been working in the construction business for more than 16 years. He has worked in landscaping, sprinklers, decks, basement finish and remodeling projects. He would like his customers to know that he is an honest and hardworking person, and will always do his best to present a high quality finished project. Outside of work JC enjoys playing pool, playing darts, and spending time outside camping. Renee Gregory joined Boulder Builders as the Office Administrator and brings over 16 years of experience. She has been doing finance and office management in several different industries including auto repair and telecommunications. Her background includes accounts receivable, accounts payable, cash reconciliation, internal operations and office management. Outside of work Renee enjoys camping and spending time with her family and pets. 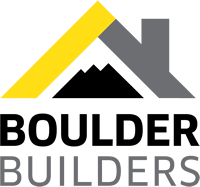 Boulder Builder’s is a general contracting company specializing in remodels, additions, and property repair and maintenance for residential and commercial customers. The vast majority of our work is in Boulder County and Boulder Builders is strongly committed to the community. Unlike most general contractors, Boulder Builders hires employees full-time rather than depend exclusively on subcontractors. Not only does this give us more control over project schedules and allow quicker job completion, but also it helps us deliver the excellent workmanship you expect. We strongly believe that high-quality work depends in part on long-term retention of employees. Our Carpenters are skilled in framing, dry walling, finish carpentry, cabinetry, and tile work. We’re happy to complete all the "honey do" lists you can come up with. You can even email us a list of items with details of how you’d like the work completed, and we’ll take care of the rest. Thank you again for taking the time to look into our company. We will all look forward to helping you create a quality project. Please feel free to contact us for more information. Copyright 2018. Boulder Builders. All rights reserved, worldwide.